Steve provides a good tour. It was unfortunate that our ship was 1 1/2 h late in docking as it messed up his itinerary. Most people have seen local markets, so that stop could be eliminated on most tours. The restaurant we went to had excellent food, but the pricing is extremely high. People should know ahead of time what the cost would be. A lunch should not cost $30 each. Steve bought us bottled water near the end of the tour and that was really appreciated; we all needed that. Beautiful island!! TOUR GUIDE RESPONSE: Thanks for your response and ratings Anthony. TOUR GUIDE RESPONSE: Thank you for your ratings glad you enjoyed your tour. Steve had a good car and spoke excellent English. We were most interested in the town and Museum but he decided to drive around and show us the Island first. After a few hours we got to town (at my insistence) but he could not find a parking space because it was so busy. We just went back to the ship early. The next day we walked into town in the morning and it was not that busy. TOUR GUIDE RESPONSE: Noreen thanks for your comments. Steve is an enthusiastic and knowledgeable guide. Arrangements worked well . We saw all our target birds and had a varied and enjoyable trip. Highly recommended. TOUR GUIDE RESPONSE: Thanks Colin and Jill for your patience am glad you enjoyed your birding tour as always I try to deliver to the best of my ability. Steve gave us an excellent tour of the Seychelles. He was very informative and accommodated special requests like stopping at the airport to pickup a pillow i left on the plane (and thankfully remembered it again when i left it in the car at the end of the day). We also enjoyed almost getting drunk at the local rum factory. We drove the entire island and thoroughly enjoyed our day with him. TOUR GUIDE RESPONSE: Thanks for the comment Sonya am glad you had a great time and enjoy your tour regards to the family. We had great day with Steve A. Me and my wife did a day tour at the weekend, when some of the places where closed. And still it was a most enjoyable day. Thank's to our guide, his enthusiasm and knowledge. I can recommend this young man and his tour. Big hand to him. TOUR GUIDE RESPONSE: Thank you for your comment am very glad that you did have a good time on the tour most of all you had enjoyed the Seychelles. Steve, did a great job accommodating my family and I during a private tour of the Seychelles. Traveling with two children ages 4 and 8 can be stressful, but Steve went out of his way to make sure the kids had a great time. My family and I were picked up from our hotel as promised and driven to several sites around the Seychelles. We ate a delicious Creole lunch, which included many kid friendly options. I highly recommend Steve as a tour guide. TOUR GUIDE RESPONSE: Thank you for the comments glad you enjoyed! TOUR GUIDE RESPONSE: Thank you Bill for the ratings. We really enjoyed the tour provided by Steve. He drove us around the Mahe Island and explained everything in details. TOUR GUIDE RESPONSE: Thank you am glad you enjoyed the Seychelles. Steve and his colleague Unels were great guides. Professional, friendly and genuinely helpful. He adjusted the itinerary to make it a customised hike. They agreed to take me well-off the routine path. We climbed to the summit of Morne Seychellois. Even though it took seven hours, and we endured some heavy rain, they were always cheerful. TOUR GUIDE RESPONSE: Am glad you enjoyed Unels and I saw how much this means to you on reaching the summit your comments is an encouraging one thank you. TOUR GUIDE RESPONSE: As my motto goes "if my customers are happy am also happy". Glad you had enjoyed the tour and thank you again. 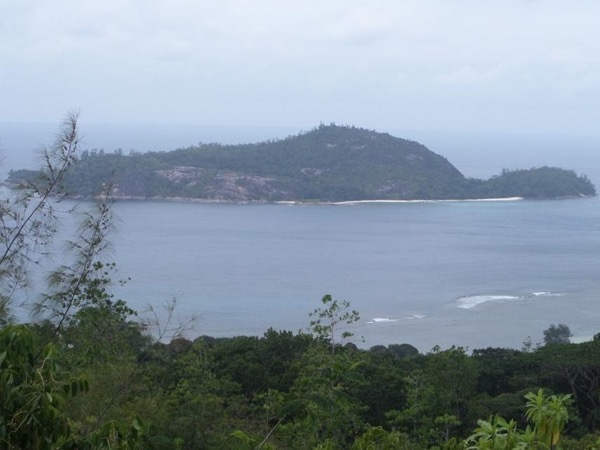 I did a day tour with Steve on August 18th around Mahe, Seychelles. He was punctual, kind, informative, knowledgable and was attentive to all my needs. I had a great time with him. TOUR GUIDE RESPONSE: Thank you on your comments am glad that you have enjoyed the tour. Steve did an outstanding job. He had an in depth knowledge of the Seychelles and its history. His command of English was excellent. We would highly recommend him to anyone visiting the Seychelles. TOUR GUIDE RESPONSE: Thank you as always my aim is to make people know my country and appreciate our mixed culture glad you had a great time. Had a great time on this tour. Navigated the entire Island and were able to see all of the attractions. We had a delightful meal on the ocean front in a local restaurant, all in all a delightful day. TOUR GUIDE RESPONSE: Thank you nice to know you were happy and enjoyed. Steve was a fantastic tour guide, met us at the airport and took us all around the island in just a few hours we saw beautiful sights and he was extremely knowledgeable and fun to spend a day with. He is a very good driver on the tricky roads, took us to an amazing restaurant for lunch (best meal of our trip!) & botanical gardens where we got to feed the turtles and learn about the local trees and plants, and many other countless scenic stops. I would recommend anyone to spend a day with Steve on a tour! TOUR GUIDE RESPONSE: Thank you as always my customer comes first, am very glad you enjoyed your tour! We had a most interesting tour with Steve. We started at the botanical garden and then walked thru Victoria. We then drove to a beautiful beach and then an overlook of the island. Steve is very knowledgable and answered all of our many questions. All in all a great day. TOUR GUIDE RESPONSE: As always is my responsibility to ensure my clients were happy and it makes me happy as well thank you you're most welcome back! TOUR GUIDE RESPONSE: Thank you on your comment i really appreciate, im afraid the weather where not very condusive for doing more but still i appreciate you came to visit our beatiful place thank you again. Steve was on time with a big wide smile. He took us all around the island of Mahe and was courteous, patient, and knowledgeable. We had a great day ! TOUR GUIDE RESPONSE: Thank you was really happy to have shown you the garden of eden! Steve guided my mother and daughter around the Seychelles; this was their report: "Steve, our friendly guide greeted is on the dock and gave us each a lei of fragrant white flowers." The highlight of the tour was San Souci: "Both Becca and Steve helped me up the crumbled steps and paths filled with tree trunks. When I reached the summit, sat on a bench and looked out it was incredible. The forest seemed to stretch for miles ending at the beautiful ocean. I had a feeling of complete serenity." 5 stars! TOUR GUIDE RESPONSE: Thank you on your comment it was a great pleasure to have guided you through our paradise! You're most welcome for another visit in the Seychelles with Steve your guide in paradise!